Social media networks potentially pose as a threat for publishers since so many users are active on these sites. Therefore, a feeling of limited content distribution arises; it is time to take a stand. As we recently discussed, strategizing content distribution helps publishers reach the right audiences through the right channels. With the vast amounts of content out there on the internet, it is no surprise that a new challenge for publishers arise: maintaining control on their websites. Publishers face a tiresome approach when it comes to maintaining control on guiding their campaign traffic. A web of unorganized content floating around holds as a threat to lost opportunity for potential quality traffic. The quality of information indicates the high value that readers have, and because of that, over 2/3 of users evaluate the quality of news sites content as more valuable than on social media. This means that publishers should take advantage and not underestimate the strength of reliable readers that quality sites can attract. Publishers who do not have the access or effective tools could fall “blind;” having no knowing of a campaign’s potential reach and resonance with its audience could possibly happen. In order for publishers to analyze and understand which campaigns are gaining the most attention, CTR’s, views, and overall traffic, an overview needs to take place and be well-maintained. Content marketing is the direction of marketing, leaving publishers to also consider quality branded content. These components of a publisher’s communication strategy towards their audience need to have an overview access in monitoring their campaigns. As part of our core values, we get better, always, we believe in giving our publishers their power back. Publishers need to reclaim control on monitoring their traffic flow as well as choosing where exactly to distribute their content. Thus, as part of our mission of consistently optimizing, we have recently upgraded our publisher solutions. We recently upgraded and revamped our Editor’s Pick tool, which is now much easier and quicker to use. 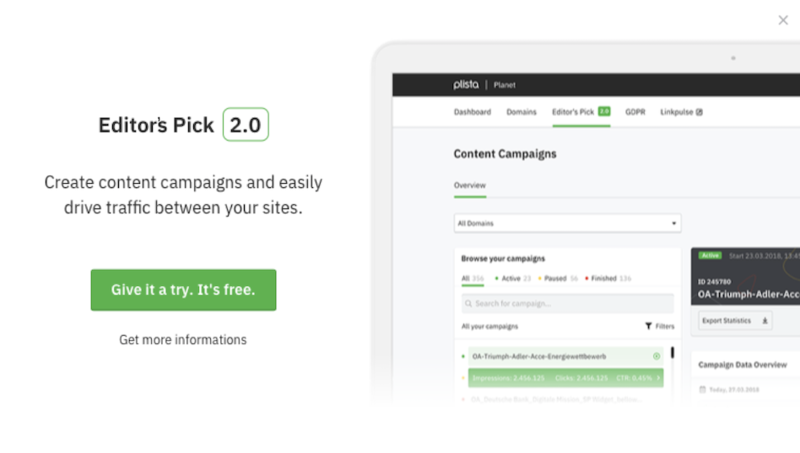 Editor’s Pick 2.0 empowers publishers to maintain an overview over their campaigns, ensuring high-quality traffic within their website or domain portfolio. The right tools enable publishers a better likelihood of higher engagement and attention. “Publishers need to take back control to guarantee a transparent, high quality and efficient delivery of demand. Content distribution done in an efficient way through partners or on owned and operated platforms itself is key for long-term partnerships with publishers and advertisers. Enabling our partners to distribute and measure success on the spot- that’s key to innovation,” Head of International Business at plista, Carolin Wies, says. In having content distribution control, campaigns are likely to be crafted and filtered through high quality platforms. We as plista strongly believe in promoting quality native advertising to offer users a better online experience. Thus, we turn your content into business outcomes. Are you a publisher who is seeking to take control over your campaigns? Then reach out to our account managers on our contact form here. plista is a global platform for data-driven native advertising in premium editorial environments and offers publishers direct, single-source access to a broad portfolio of native solutions. plista’s seamlessly-integrated widgets optimize publishers’ unobtrusive website design while offering maximum flexibility. plista’s native formats combine articles, videos and advertising in countless ways to captivate readers while immersing them into publishers’ content. 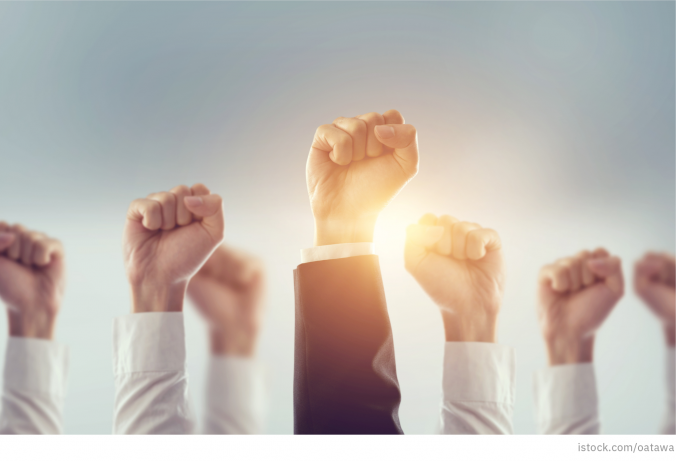 Thousands of premium publishers are working successfully with plista in order to achieve outstanding content monetization, increased website stickiness and sustainable traffic growth.